Don Argus AC was appointed Chairman of the Australia Advisory Board of Bank of America Merrill Lynch, commencing 1 July 2010. Don retired from his role as Chairman of BHP Billiton on 30 March 2010. Don is a Director of Australian Foundation Investment Company Limited and also Director of Hakluyt & Company’s International Advisory Board. He retired as Chairman of Brambles Industries in January 2008. 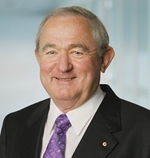 Don was the former CEO and Managing Director of the National Australia Bank between 1990 and 1999. In that period its market capitalisation grew from A $5.5 billion to a peak of A$37 billion. EPS growth in that period grew at an extraordinary rate of 128%. Don received an Officer of the Order of Australia award in 1998, and subsequently, in January 2010, was raised to a Companion of the Order of Australia for eminent service to business and commerce through leadership in the mining and finance industries, and to the community through the promotion of philanthropy, and executive roles in conservation, health, charitable and sporting organisations. Don was also awarded the Centenary Medal in April 2003 for service to Australian society through business. Don is a Senior Fellow (SF) of Financial Services Institute of Australasia (Finsia) and a Fellow of Certified Practising Accountants Australia (CPA). He is an Alumni of the Harvard University Advanced Management Programme, and has been awarded honorary degrees from Monash University (Doctor of Laws), Griffiths University (Doctor of the University) and the University of Queensland (Doctor of Business). Leigh Clifford is Chairman of Qantas; a Director of Bechtel Group Inc. and Chairman of Bechtel Australia Pty Ltd; Senior Adviser to Kohlberg Kravis Roberts & Co.; Director of Crestone Wealth Management; Director of Equestrian Australia; Chairman of the National Gallery of Victoria Foundation and a member of the Council of Trustees of the National Gallery of Victoria; and Chair of the University of Melbourne’s philanthropic campaign. He retired as Chief Executive and Director of Rio Tinto in 2007 after thirty-seven years with the company. 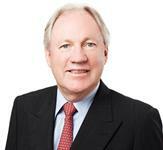 Sir Rod Eddington AO is non-executive Chairman (Aust & NZ) of J.P. Morgan, Chairman of Infrastructure Australia and non-executive Chairman of Lion. Educated as an engineer at the UWA and then Oxford University as WA’s 1974 Rhodes Scholar, Sir Rod’s career began in transport and aviation and he went on to become CEO of Cathay Pacific, Ansett Airlines and British Airways, before retiring in late 2005 and returning to Australia. In 2005, Sir Rod was awarded a Knighthood by the British Government for service to civil aviation, and in 2012 an Officer of the Order of Australia (AO) for service to business and commerce. In addition to maintaining non-executive directorships with News Corporation, CLP (China Light & Power) Holdings and John Swire & Sons, Sir Rod also serves as Chairman of Victorian Major Events Company and President of the Australia Japan Business Cooperation Committee. 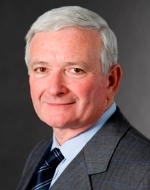 The Hon Nick Greiner AC was Premier and Treasurer of New South Wales from 1988-1992. Since his retirement from politics he has been heavily involved in the corporate world as Chairman of several large companies and as the Deputy Chairman and director of others. Nick holds an Honours Degree in Economics from Sydney University and a Master of Business Administration with High Distinction from Harvard Business School. Tony Howarth AO spent over 35 years in the banking and finance industry. Uniquely, he held executive positions in Government, Regional and Major Banks as well as in Building Societies and Stockbroking. He has been the Managing Director of Challenge Bank Limited and the CEO of Hartley’s Limited. As a Non Executive Director he has been Chairman of Alinta Limited, Home Building Society Limited and Deputy Chair of Bank of Queensland. Currently he is Chairman of Mermaid Marine Australia Limited and a non-executive director of Wesfarmers Ltd and BWP Management Ltd. He is also involved in a number of Private Equity activities and is a director of Alinta Energy and Viburnum Funds Pty Ltd. In June 2002 Tony was awarded an Officer of Australia (AO) for his “service to business and finance and to the community through a range of health, cultural, education and sporting groups”. Belinda Hutchinson AM is Chairman of QBE Insurance Group and a director of AGL Energy, St Vincent’s Health Australia, the Salvation Army Eastern Territory Advisory Board and Deputy Chairman of the Centre for Independent Studies. Belinda is also the President of Chief Executive Women, a member based organisation comprising of 240 of Australia’s women leaders. Belinda was previously an executive director of Macquarie Group from 1992 to 1997, a vice president of Citibank between 1981 and 1992 and a senior manager at Andersen Consulting from 1976 to 1981. She has previously served on the boards of Telstra Corporation, Coles Myer, Crane Group, Energy Australia, TAB, Snowy Hydro Trading, State Library of NSW and Sydney Water. Kevin McCann AM is Chairman of Macquarie Group Limited and Macquarie Bank Limited, Origin Energy Limited, and a Director of BlueScope Steel Limited; NSW President and a member of the Board of the Australian Institute of Company Directors (AICD) and a member of the Corporate Governance Committee of the AICD. A Fellow of the Senate of the University of Sydney and a Director of The United States Studies Centre. 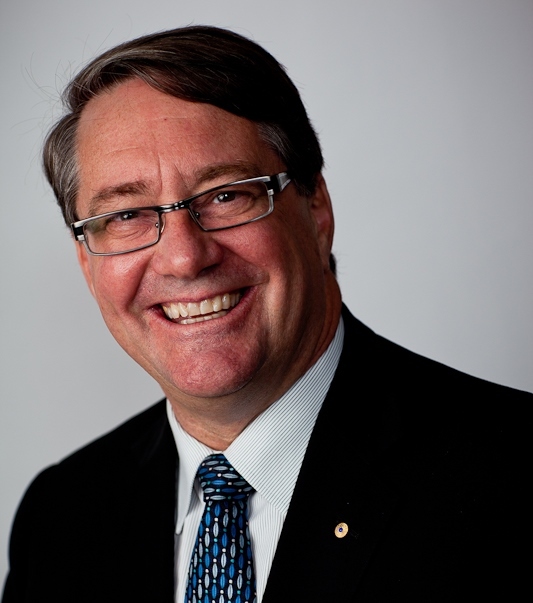 Kevin's community activities include Chair of the National Library of Australia Foundation and a Member of the Advisory Council to the Australian British Chamber of Commerce. Kevin practiced as a commercial lawyer as a partner of Allen’s Arthur Robinson (and its predecessor firm Allen Allen & Hemsley) from 1970 to 2004 and was Chairman of Partners from 1995 to 2004. He was previously Chairman of Healthscope Ltd, ING Management Limited and the Sydney Harbour Federation Trust, a director of Pioneer International Ltd, Ampol Ltd, the State Rail Authority of New South Wales, a member of the Takeovers Panel, a Council member of the National Library of Australia and served on the Defence Procurement Advisory Board. Kevin has a Bachelor of Arts and Law (Honours) from Sydney University and a Master of Law from Harvard University. He is a Fellow of the AICD. Terry Moran AC has had a varied public service career, working with successive Australian Federal and State governments in public policy and public sector management. Mr Moran's early career as a CEO focussed on building Australia's education and technical skills capacity. In 2000 he was appointed Secretary of the Department of Premier and Cabinet in Victoria, where he played a leading role in developing an ambitious national reform agenda, subsequently agreed by all States and the Commonwealth Government and many initiatives to improve planning and service delivery in the State. Mr Moran was Secretary of the Department of the Prime Minister and Cabinet from March 2008 to September 2011, overseeing further development and implementation of this national reform agenda, particularly through social policy. Mr Moran was also responsible for overseeing work on national security and international policy, environment, industry and economic policy, and coordination of government administration, including Cabinet support. Mr Moran also played a lead role in driving reforms to the Australian Public Service. Roger Wilkins AO is Secretary of the Australian Attorney-General’s Department, a position he has held since September 2008. Prior to his appointment, he was Citi’s Head of Government and Public Sector Group Australia and New Zealand from 2006 to 2008. 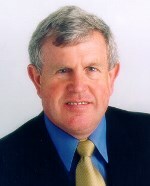 Mr Wilkins was the Director-General of the New South Wales Cabinet Office from 1992 to 2006, and Director-General of the Ministry of Arts from 2001 to 2006. He has chaired a number of national taskforces and committees and was responsible for the introduction of an emissions trading scheme in New South Wales and design of a national emissions trading scheme for Australia. In 2008 he led the strategic review of climate change programs for the Commonwealth Government. 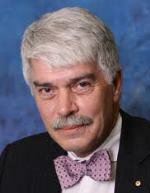 Mr Wilkins is a member of the Board of the Forum of Federations and advises international federal systems, particularly on fiscal issues. 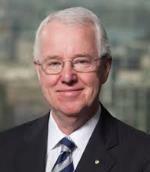 He was appointed an Officer of the Order of Australia in 2007 for service to public administration in New South Wales. Mr. Smith is currently Chairman, Australia China Council and a Board Director of ANZ Bank China and Chairman, ANZ Bank Thailand and formerly Chairman, New South Wales and Australian Capital Territory and Senior Managing Director of ANZ Bank where he was a member of the Institutional Leadership team. He is Chairman of the Advisory Board of Australian Capital Equity, holders of interests in Seven Group Holdings, West Australian News, Coates Hire, WesTrac and Caterpillar industrial services and equipment in Western Australia, New South Wales and North East China; Chairman of the Australia–China Council, Global Trustee of the Asia Society and Chairman Emeritus of the Asia Society in Australia and Chairman of the Flagship Property Group. Warwick is also Board Director of Seven Group Holdings, Coates Hire and Estia Health. Formerly, he was Chairman of E*TRADE, the Australian Sports Commission and an Executive Director with Macquarie Bank; and a Federal Government Minister with a parliamentary career spanning 15 years with portfolios including the Minister for Sport, Territories and Local Government, Minister Assisting the Prime Minister on the Olympic Games in Sydney and Minister for Family Services. He was also Australia’s first Telecommunications Ombudsman and has received a Centenary Medal and an Order of Australia.